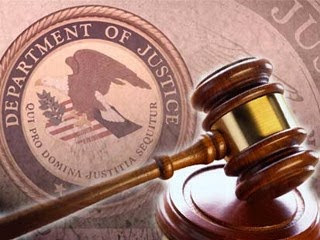 A manufacturer and exporter of wind turbines based in the People’s Republic of China was convicted today of stealing trade secrets from AMSC, a U.S.-based company formerly known as American Superconductor Inc., announced Acting Assistant Attorney General John P. Cronan of the Justice Department’s Criminal Division and U.S. Attorney Scott C. Blader for the Western District of Wisconsin. Following an 11-day trial, a jury sitting in Madison, Wisconsin, convicted Sinovel Wind Group Co. Ltd., dba Sinovel Wind Group (USA) Co. Ltd. (Sinovel) of conspiracy to commit trade secret theft, theft of trade secrets, and wire fraud. Sentencing is set for June 4. The case was investigated by the FBI’s Madison, Milwaukee, and Boston Offices; the FBI Legal Attachés’ Offices in Vienna, Austria and Beijing; the FBI Criminal Investigative Division; the FBI Intellectual Property Rights program; the Bundeskriminalamt (Federal Criminal Intelligence Service) and the Bundesministerium Fuer Justiz (Federal Ministry of Justice) in Austria; the Landeskriminalamt - Klagenfurt and the Staatsanwaltschaft - Klagenfurt (Criminal Investigative Police and State Prosecutor’s Office – Klagenfurt, Austria); and with the assistance of the Justice Department’s Office of International Affairs and the Cybercrime Laboratory of the Criminal Division’s Computer Crime and Intellectual Property Section (CCIPS). Senior Counsel Brian L. Levine of CCIPS and Assistant U.S. Attorneys Timothy M. O’Shea and Darren Halverson for the Western District of Wisconsin prosecuted the case, with substantial assistance from CCIPS Trial Attorney Joss Nichols and Digital Investigative Analyst Laura Peterson. The Department of Justice’s Task Force on Intellectual Property (IP Task Force) contributed to this case. The IP Task Force is led by the Deputy Attorney General to combat the growing number of domestic and intellectual property crimes, to protect the health and safety of American consumers, and to safeguard the nation’s economic security against those who seek to profit illegally from American creativity, innovation, and hard work. To learn more about the IP Task Force, go to https://www.justice.gov/iptf.